11 Ways to Fix Squeaky Floors, What Causes Them? Contractor Quotes. Contractor Quotes: Let's Make Your Project a SuccessBlogFloorsHow to Fix Squeaky Floors and What Causes Them? 11 Ways You Need to Know! How to Fix Squeaky Floors and What Causes Them? 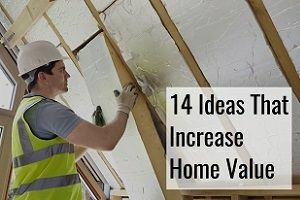 11 Ways You Need to Know! Has your floor started making squeaky noises, yet you don’t know why that is? This article will take you through where the noises are coming from and what you can effectively do to get it fixed. Needless to say, the easiest solution is to get the help of a squeaky floor repair contractor to have it fixed as soon as possible, whereby you wouldn’t be the one at all trying to deal with the situation, which could turn out to be a bit complicated if you don’t have easy access to your subfloor, since tat is where the work will be happening. In order to be able to address the situation, it helps to know what actually causes the squeaky floors in the beginning. 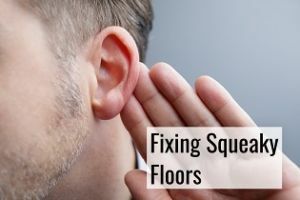 Not being able to walk on top of your floor without hearing loud noises coming from it could be keeping you from using it as much as you’d like, and while it might be an easy way to hear if your kids are sneaking around, wouldn’t it just be better that there wasn’t the issue in the first place? 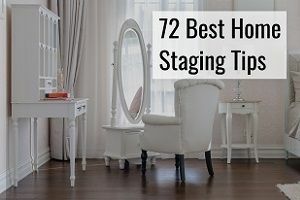 When you’re trying to sell your home, this is one of the first things that you would want to have fixed just so it doesn’t leave a bad first impression with a potential buyer visiting it. It’s a type of repair that a skilled DIY person might be able to perform, while it’ll be easy to do for a professional flooring contractor. Rather than going on for years and years, now is the time to simply get the problem fixed and get it out of the world. 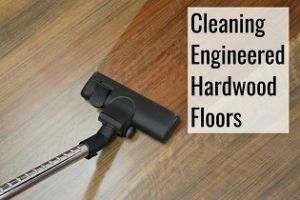 When your floor is making noise, it’s an indication that something is no longer as it used to be and that you should take some time to pay attention to the issue at hand. Hardwood floors are likely to start making noise at some point. RH levels stand for relative humidity and it’s a ratio of partial pressure of water vapor to the equilibrium vapor pressure and it will vary with changes in climatic conditions. Gaps between your floor and subfloor could be caused by lower RH levels, so you could be noticing that your floor actually makes more noise at some times of the year. Did you know that the floor will be notably drier during the winter where the air has a tendency to be especially dry too? The environment could in fact be causing the squeaking, and you are likely to notice the sounds either during very hot summers or during the winter. Any extreme can be causing the noise. You probably already knew that a lot of materials will expand and contract depending on the weather, and floors are no different. When it’s very dry, the floor naturally shrinks and gaps are more likely to start show so much that they cause sounds. When it’s warmer, the floor will contrarily expand. Each of these cycles will test the nails that have been used to secure the floor with. Why Do RH Levels Drop? Did you notice that your lips are more likely to be dry during the winter than during the summer? The lower temperature causes the humidity level to drop by itself. In addition, since the outside is getting colder, most people will respond by having their HVAC unit work harder to compensate for those dropping exterior temperatures. The floor responds to those changes in humidity too. So when your lips are dry, your floor start drying too, and shrinkage, gaps, cracks and cupping is the result. If you make sure that the RH level stays between 35-55%, you’ll also have happier floors with less shrinkage. Using a humidifier from the time that you start heating your home to the point when you stop doing it can do wonders and you might also experience that you personally find those humidity levels more comfortable too. While too much humidity is also a problem, and the reason why you have roof vents installed on your home, you might be surprised to read about why humidifiers are great. It’s not just your floors that appreciate a humidifier. Here are the pros of having one. It’s great if you suffer from dry skin. Bloody noses are more likely in very dry climates. Dry air could be irritating your vocal cords and giving you a dry throat. It’ll make your skin feel more vibrant and reduce the risk of infections. 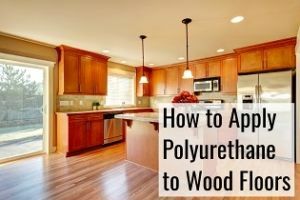 The molding, doors, trim and other things that are made from wood will suffer the same way your wooden floor will. You can save money on your heating bill because higher humidity air also feels warmer and you therefore won’t need to turn up the air conditioner as high. As you can see, it’s not just your floors that will love it. Your health will too. There are different types of humidifiers, but it is beyond the scope of this article to start talking about them. Get a hygrometer to help make sure that the humidity in your home stays in the 35-55% range, which is good for helping provide all the mentioned benefits without encouraging mold growth either. If you want to invest a bit more money, you can get a hygrometer thata automatically tells the humidifier to turn on if the humidity drops below 35%. Your floor is an investment in your home. and a humidifier simply helps protect your investment, as well as lower your heating bill by saving electricity or whatever fuel source your unit is running on. I bet you didn’t think about the fact that too little moisture could in fact help cause squeaking floors. While it could be lessening the issue, it’s unlikely to completely fix it if the noises are already rather significant. When you start hearing the floors making noise, you should also be checking your hygrometer to see what it says. Things might have shifted slightly since the floor was installed back in the day. If that’s the case, the rubbing is likely to cause some sound but it also means that the sound is just in one area where the given boards are. It could be possible to see the boards moving if this is the case since it’s an indication they do not have enough space to comfortably move when they need to. Does the Squeak Seem to Come From Several Areas? Are the noises persistent across large areas of your floor, then subfloor repair might be needed to fix it. Again, it’s an indication that something has likely loosened and is no longer like it used to be. 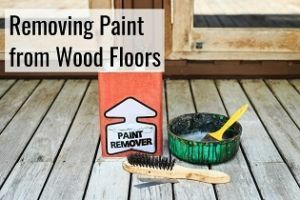 When that’s the case, it’s often that the place where the floor was previously attached to the subfloor, is no longer since the nails or screws have given up over the years. Does Your Floor Have Hollow Spots? Hollow spots in the floor will cause squeaking noises when you walk on them as they’re being pushed down. Sometimes all it takes is to have those spots filled to have the problem go away, if it’s that simple at least. Epoxy is sometimes used for this purpose. The same as with the subfloor and the floor itself, if the subfloor isn’t fastened to the floor joists, the movement from walking on it will cause sound. There are different things that the contractor can do in order to fix this. Sometimes it is as simple as missing lubricants that is causing it, although it may just be a temporary fix. Talcum Powder, graphite, baby powder or WD-40 are often used in those instances. The noise is still caused by friction between the different moving elements, but the lubrication makes sure that it at least takes care of the noise, at least temporarily. As you can imagine, once the lubricant wears off, you’ll still be left with points of friction that haven’t as such been dealt with. Ideally you should be dealing with the thing that is causing the friction but if that is not possible, adding lubricants could be enough to solve it for now. When the noise doesn’t seem to go away even if there are changes in the weather, it’s time for you to call in a pro. Sometimes you may have carpet installed and your floors are still making squeaky noises. Don’t worry, there’s a way to fix it. First you will need to use a hammer to find the floor joists which is where you will want to reattach the floor to. This works on carpeted floors also and the sound you hear should indicate where the joist is. 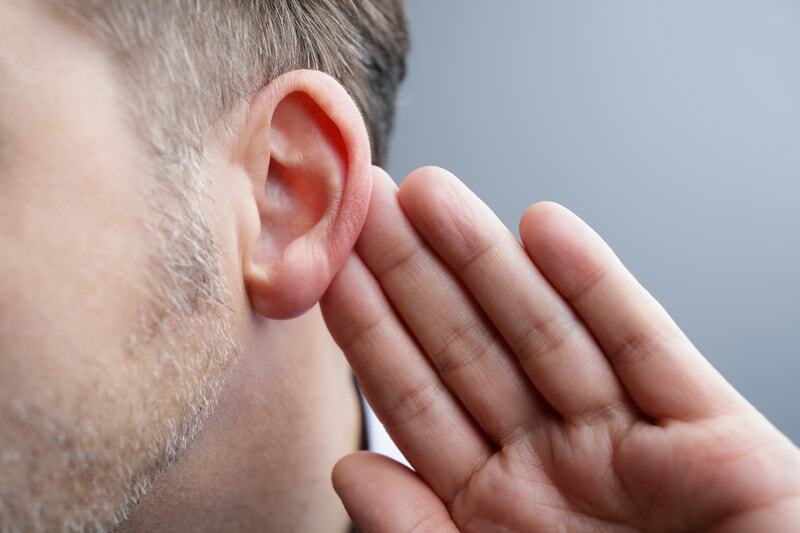 A hollow sound means no joist while a solid sound is an indication that there’s something underneath. You will then need to use a special joist-finding screw to make sure you’re in the right location, which has a different bit to it on the far end with thread on it. Drilling that into the floor, you’ll be able to confirm the location of the joist. 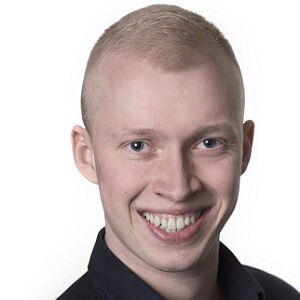 Because the special screw is bare on most of it, once it goes through the sheating, if it doesn’t connect with a joist, it will slide up and down pretty much unhindered. When it reaches a joist, you won’t simply be able to pull it up and down because the thread will be stuck in the joist. When you have found the floor joist, you will want to find the other ones. They’re supposed to be located 16 inches apart to provide the necessary support, and at that point you’ll want to do the test again. When dealing with carpeted floors, you will want to attach the sheathing to the joist using special nails that can be broken off after they have been inserted. A special depth control fixture is needed when repairing carpeted floors when you’re screwing in the special screw. When it’s been screwed in using the fixture, you can break off the top part of the screw and you won’t be annoyed by it anymore. In fact, it will be done so smoothly that you can’t even locate it and the sheathing and joist will once again be permanently reunited. 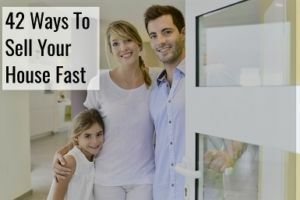 You will want to locate the joist at both ends of the room and you can then tie string between it to easily find out where screws need to be added. Repeat the process with the screws in several places across a floor joist. End the process by using the screw gripper to break off the top part of the screws. The process is very much the same as the process with carpets. when you’re fixing the squeak from above with hardwood floors, once again the noise is caused by the different materials separating, likely the hardwood and the subfloor. If it’s the joists, then the finish nails need to be driven into the You can add nails in opposite 45-degree angles when the problem is between the floor and the subfloor to keep them sticking together. Again you will want to make sure that the subfloor and joist are properly attached to each other, which in itself should help you get rid of most of the problem. Boards should be secured, and replace nails that are no longer keeping things tightly together. Where the boards are causing squeaking, take the baby powder and apply it generously into the seams. Push it in with the use of paper towel so that it gets to create a nice protective layer between the moving elements. You can use other things to force the baby powder if you have to. Find something thin like a business card or a plastic knife to do it with. Securing the boards in place as well as adding baby powder should ensure the noise disappears. If you’re relying on the baby powder alone, you should know that that solution won’t last forever and more will need to be added later on. There’s a bunch of different things that you can do in general to help soundproof your floor, which can be done in addition to securing all the moving elements. They include the installation of soundproof underlayment, sound deadening vinyl, using acoustic floor tiles throughout your home, having sound absorbing floor insulation installed between joists during installation. Basically, it works the same way as the baby powder above by providing material that stops the friction from becoming a problem. You can also get floor mats that help reduce the noise which are simply put on top of a floor. Mind you, if you’re annoyed by the gap that’s been created, these mats won’t fix it. Perhaps the best underlayment that can be used for laminate is the one created by Floor Muffler. It provides both help with acoustics as well as acts as a moisture barrier. However, if the noise is created since the different layers of your floors have separated over time, the best solution is to get those fixed. In other situations where you might be installing a concrete subfloor, the underlayment is a great material to use in addition. Since you’re basically trying to get moving elements to reconnect, you will want to make sure that it is done as effectively as possible. The gap between the subfloor and the joist should be eliminated when the screw or nail are used to reconnect the two and to make sure that’s the case, you can either stand on top of it so the materials connect, when fixing it from above, or add something heavy on top of it, when you’re fixing it from below. Heavy furniture will get the job done. Alternatively, you can get someone to stand on it on top, while you go down below in order to fix it. There are times when the joists and subfloor may seem loose. The Squeak-Ender is a product that has been created for those time which provides support for the joist. It attaches to the joist and subfloor to prevent them from having friction be an issue. It’s a slightly more advanced solution than just using a nail but it will also provide better support and last longer. Be sure to follow the manufacturer’s instructions when installing it. The final result should be that subfloor is pulled down to the joist and it will no longer be moving up and down at will. If you have read this far, you will understand that the noise is caused by friction and while you can secure the moving elements with screws, another option is simply to fill the gap to keep it from moving. If you’d rather not start nailing or screwing things, simply filling the gap using things that won’t disappear after a week. Wood shims are perfect for this given that they’re not very big and thin that fit perfectly in gaps. Small gaps will no longer be an issue, however it still requires that you figure out which gap it is that it is coming from. And then you should have access from below in order to be able to do it. 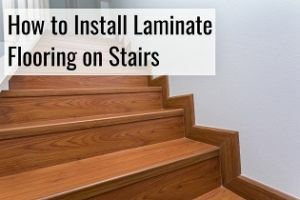 You don’t want to use force to get the wood shims in place as it could otherwise be forcing the rest of the floor upwards, thereby creating a whole different problem. It could also just make the squeak go somewhere else. The floor should still be weighted from above if this is the process you choose to go with. Wood screws can be used from below to connect subfloor and floor to get rid of the gap. When you have located the gap, it’s now time to drive the screws. When you do this, it’s important that you know how far you can go and getting the length of the nail right is crucial so that you don’t suddenly have screw sticking out on the other side of the floor. The sharp edge of a screw can cause serious harm and stepping on one would be extremely painful. It could also rip clothing or other things if carried across it. The right length of screws will ensure that doesn’t happen. If you’re sufficiently confident, you can simply avoid using the full length of the screw. Make a pilot hole in a part of the floor where potentially having it go through would not be a problem. When you have seen that the pilot screw was a success, you can keep going with the process in the other parts. You might still want to inspect your floor afterwards to make sure. Rather safe than sorry. If you don’t have the option of using the special screw to find the joist when you are repairing the squeak from above, you can use a stud finder which will also do it. It’s commonly used for drywall but can also be used with floors. They can use different technologies, the newer ones using 3D imaging. They’ve been around since the early 20th century, so it’s not like it’s a new tool and you might even have one lying around. A hammer is good for listening to the sound differences too, but you might just run into an issue where you end up missing the joist by no more than an inch and it won’t be as easy to know. You don’t want to leave any visible marks where you have been working and for that purpose, you can use putty on top of the holes that the screw created in the process. It’s easy to apply and will ensure a nicer finish. It doesn’t take a large amount of putty for each screw that was used. You can then gently sand the area afterwards. The different colors should be matched to make sure that there’s as little mark left as possible. Get a putty the same colors as your floor. 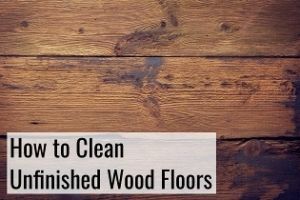 If your floor has previously been stained, the result you might get from sanding the area in that case wouldn’t be very good, or you might need to reapply the stain to the sanded areas. If you do use sandpaper, it’s also a skill to not go overboard in the process. While you want to remove things that aren’t smooth, you can also go too far. You have two options – nails or screws – when you’re fixing your squeaky floor. Remember that the problem initially arose as a consequence of expanding and contracting floors, humidity and foot traffic. When you’re securing subfloor and joists, you want something that keeps on holding, and in that case screws are simply the better option. Special screws that can break off can make sure that you won’t have issues with the heads sticking up. Again, that is only if you choose to DIY. Getting quotes for the work is entirely free and it won’t be a repair project that ends up costing you a lot in most cases.